The Green Industry & Equipment Expo, GIE+EXPO, is the industry’s largest showcase for outdoor power equipment, lawn and garden products, outdoor leisure items, light construction, and landscape equipment. All industries are represented at the annual event, from professional and rental equipment, to equipment distributed through home centers, dealers, and retailers. There will be more 850 exhibits inside the 500,000 sq. ft. convention center and in the outdoor turf area. More than 20 acres of outdoor demonstrations and test driving will be available to attendees. 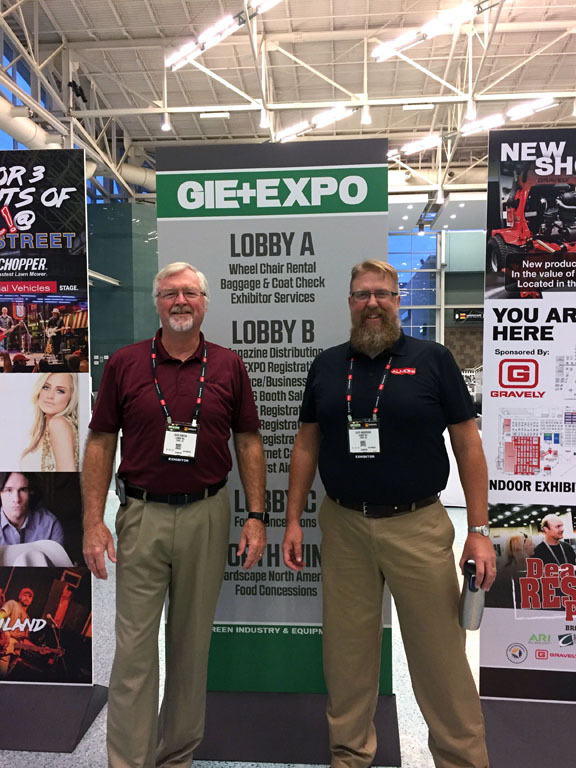 GIE+EXPO will be held October 17-19 at the Kentucky Exposition Center in beautiful Louisville, Kentucky. Learn more about EETC Technician Certification Testing. We’re members of the Equipment Engine Training Council (EETC) who host the Dealer Technician Training, and we’re proud to be the training team representing Almon and EETC at GIE+EXPO. Hurry and sign up now before the course sells out! 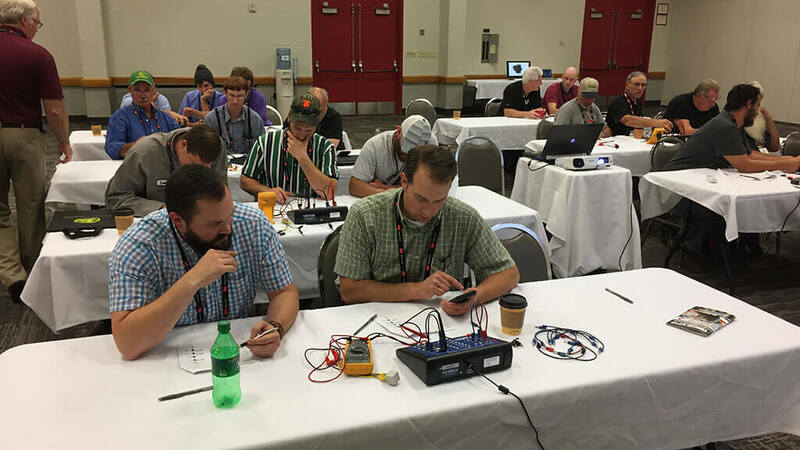 Student technicians get hands-on training with our ATech training boards while learning Electrical Methods & Techniques at GIE+EXPO. Steve Meyer, Almon Inc.’s Director of Marketing and Sales, will also be attending the show. 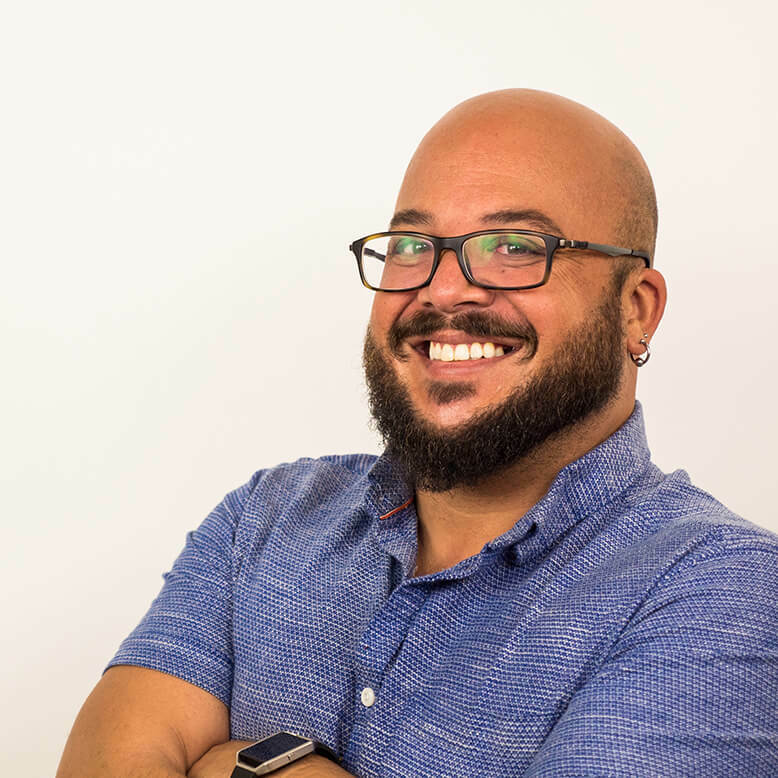 Steve will be there to discuss our instructor-led training and our many other services, including technical writing, animation, app development, and video production. For more information about Almon Inc. and its services, contact Steve Meyer at 262-548-1360 (office), 414-587-1555 (cellular), or at smeyer@almoninc.com. PreviousPrevious post:Hiring: Training Content DeveloperNextNext post:Aloha from Almon Inc.